Volume of solid with circular base whose cross sections are isosceles right triangles with hypotenuse in the base. Slider 'a' moves the triangles. Use the Trace buttons to see the solid. 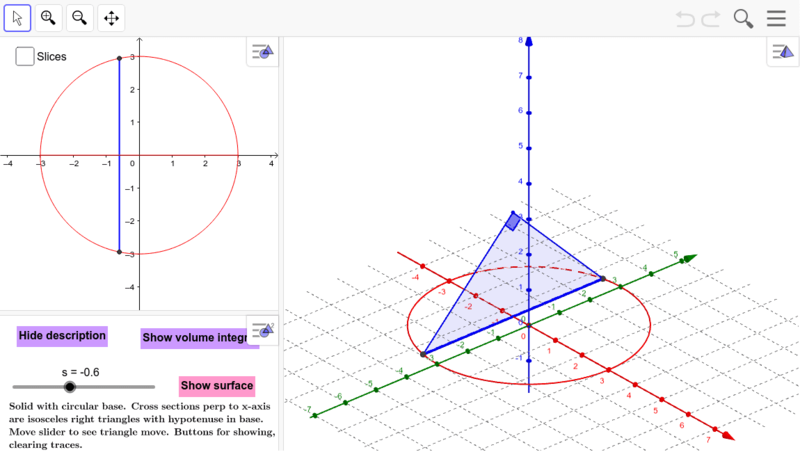 Can also show the surface of the volume.